First link of the California Highspeed Rail is linked up. 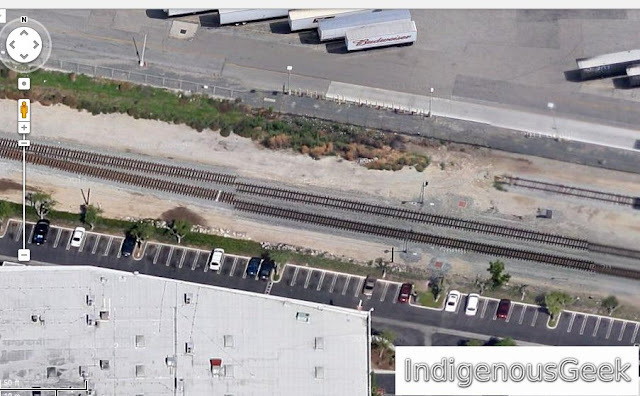 Okay this is really a Google Maps satellite image of tracks next to the Anheuser-Busch brewery in LA. The software didn't stich the individual images together too well. Over near the right side you can see another one but not quite soo bad.